There is a simple way of realising whether it’s time for a change. Have you ended 2015 thinking that 2016 will be better? This seems to be the case for many of us! We can only make important changes in our life if we take the steps to building a better future for ourselves. Things don’t necessarily change just because we want them to. You need to take decisive action that starts the process of change. When we were young, we dreamt of our ideal life – the perfect relationship, husband or wife. We seem to sometimes forget about these dreams as we grow older. We experience different relationships, some difficult and some good, and eventually most of us meet someone special and settle down. However, it’s not always plain sailing and what was once a dream can sometimes become reality with added complexities. Maybe you’re happy in your relationship, maybe you’re not. If you’re not, is there anything that you are doing to improve things? Think about your relationship. Think about how it could be better for both of you and the steps that it would take to do it. Is your relationship on equal footing? Do you feel that both of you compromise and consider each other respectfully? Do not be afraid of speaking up, making suggestions and being honest about how you want to strengthen foundations. Whether you work in a high powered job or you work just to earn the pennies, we spend the majority of our life working. Therefore, you absolutely need to make sure that you are happy in what you do. If you are unhappy in your work, it can effect everything else in your life, especially your relationship, home and family. It becomes all-consuming and you waste time worrying and dreading a Monday morning. The saying, ‘Do a job you love and you will never have to work a day in your life’ by Confucius portrays a very powerful message. Make sure your job is rewarding and interesting. Make sure that it ticks all (or most) of the boxes so that you enjoy it. If your job does not make you happy, then you need to consider why and decide to take action. Although everyone is limited to a certain extent in being able to move to a bigger house or to a location you would like to live, it does not mean it’s impossible. Remember that the desire to change things will actually sow a seed for change and several steps may need to be taken to reach your end goal. But you will never achieve it unless you go for it! It doesn’t take a lot of money to make your home a sanctuary or to create space and light in a family environment that will benefit all of you. Making changes in your house is your first step to improving home life. Continually striving to better your life in this area could result in a transformation that will eventually get you on your path to your end goal of a nicer place to live. Most of us know when it’s time for a change. We feel dissatisfied or unmotivated in that area of our life. Sometimes this can have a huge effect on our life, increasing stress and anxiety, causing sleepless nights which inevitably has an impact on our wellbeing and focus on the future. 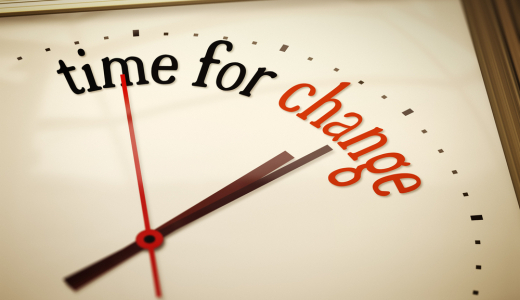 There is a simple way of realising whether it’s time for a change. Ask yourself, ‘Am I really happy?’. If the answer is no then you need to either work out what you need to do to make the situation better, or decide that you need to move on in your life and leave it behind. It’s not as easy as it sounds, but remember, don’t bury your head in the sand, recognise it and plan ahead. Take the baby steps to a brighter future. Will you be making changes in 2016? Insight for relationships, love, work, career and family is available at TheCircle. Speak to our gifted psychics and find out what your year ahead holds, get guidance for your choices ahead.